We can help you live within your financial means! To build a strong institution that provides the education and services that achieve financial freedom to the diverse community we serve. A community where everyone can achieve financial freedom through education. Alpena Community Credit Union offers a CD, entitled Little Pig Grow Big. 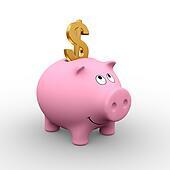 Little Pig Grow Big is a 12 month CD that offers a .30 APY with a $25 minimum deposit required to open.